The very first independent Irish wedding photography awards, from the Black Box Venue in Belfast, on 20th November 2018. The event tied together a workshop, with 6 keynote speakers Dave McClelland, Eric Savo, Kat Mervyn, Bruno Rosa and Jay Doherty. There was a print display of the fine work of the Irish wedding photographers that took part in the event, which supported the idea that it was a celebration of our local talent and community as much as traditional awards ceremony. The awards were voted on by 3 current professional wedding photographers, the awards given for several catergories. We are a small nation, or 2, here, and that lends itself to a close and very sharing community within. Ireland is simply bursting at the seams with great talent, creative, solid shooters from the 4 corners. It was an absolute pleasure to share a day with many of them. Learning to Fly is heading into its 5th year in 2019, it has slowly evoluved into a popular education and developmental (is that a word?) community for our photographers - this awards program is the latest project. 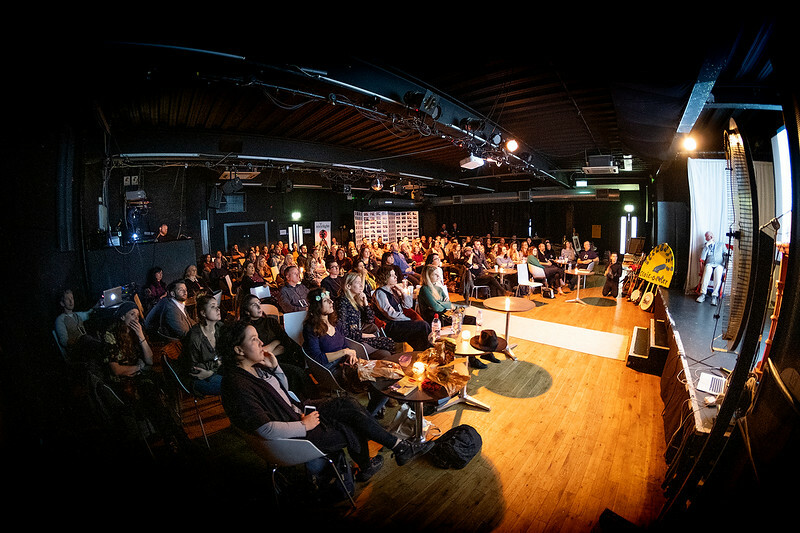 We brought together national great speakers to inspire and spread the good word of hope, ambition, exhibited our work, poured tea and stout to lubricate the already very social gathering. Netx year we will psuh this event even further. I'd like to thank you all for coming (and for reading this dull and long winded and zero-craic article), those that got involved in setting up, helping out in anyway or simply came over and said hello, it meant a lot.